This is Samson. 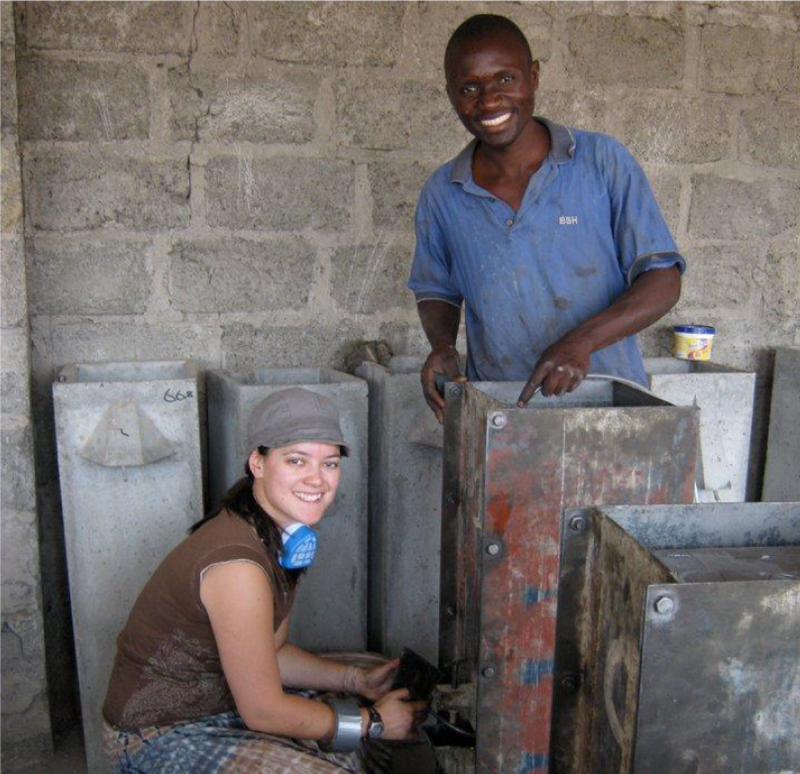 He was the patient one who taught me how to build a biosand filter in Zambia—which is no small task for a girl who’s not very savvy with any kind of manual labor. It required skills in mixing cement with a shovel and utilizing metal molds to secure a good shape. You can see in the photo behind me what a completed biosand filter looks like. Perhaps it doesn’t look very extraordinary. Just a really heavy cement structure. But it is a life-saver in so many ways. In the Copperbelt Province of Zambia, more than half the population is living in urban slums and shanty compounds. They do, however, have access to water but it isn’t clean, potable water. That’s where the biosand filter comes in. Families can keep a filter in their home and pour buckets of filthy water into the sand-filled cement structure and, like a Brita, enjoy safe filtered water for consumption. As we all gear up for Lent and our Save a Drink, Save a Life campaign, one of the areas of impact will be supporting the construction of 300 biosand filters for families in Zambia. Your efforts will help cover the expenses of the materials as well as the local staff, like Samson, to train community members in building their own filters. We have learned that those who take part in constructing their own filters end up taking better care of them than those who simply receive them with little ownership of the process. If you haven’t already done so, I hope you’ll take the time to sign up for the Save a Drink, Save a Life campaign to help bring biosand filters and clean water to our friends in Zambia!